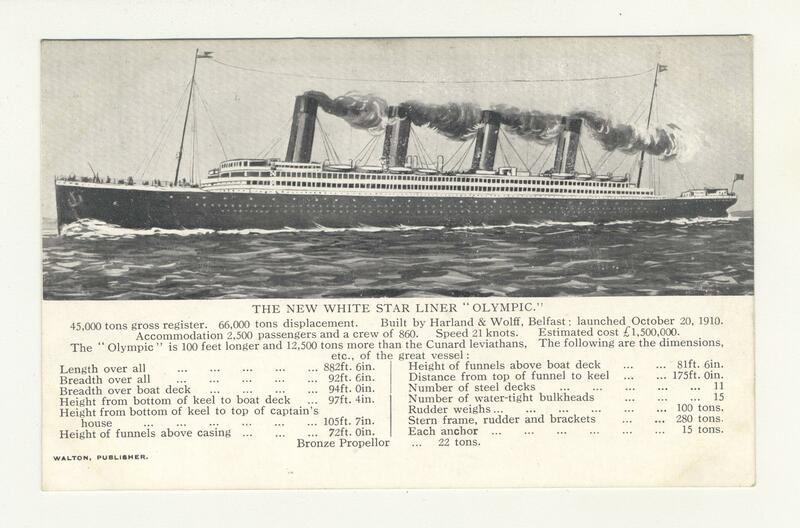 Postcard featuring 'The New White Star Liner "Olympic" 45,000 tons gross register. 66,000 tons displacement. Built by harlnad & Wolff, Belfast: Launched October 20, 1910.' Accommodation 2,500 passengers and a crew of 860.